You acknowledge that if you provide us with any false, incomplete or inaccurate , trailer information or personal contact information, we are not held liable for any values you may not agree with. By requesting an Offer, you agree that we, our service providers, and Dealers may contact you, by any method that you supplied for your contact information, about trailer or other products and services that may be of interest to you. By supplying a mobile number, you consent to receive calls or texts at that number,from us and from Dealers. You do not have to provide us with a mobile number, but we must have some way to contact you to get the imformation your looking for, email is fine but mobile number is much faster. TrailerBlueBookvalue.com contains 3 generatins of experience, 30 years of wisdom, trailer knowledge, and 25 years comprehensive data we use as a valuation guide for new & used trailers chipvans, Pitts log trailers, detach, lowboys, flatbeds, live bottoms, clement alum or steel end dumps, to get you a fast accurate estimate. Prices are derived from some of the biggest manufactors in the business including Nabor, Pitts Peerless, Clement, Blackmon Trailer Sales , retail dealer input, and actual sales records. 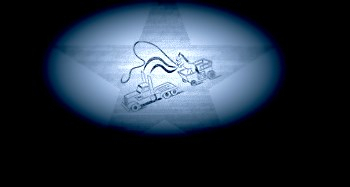 Depreciated values are subject to change based on several market factors including manufacturer viablility, brand presence, and durability.You acknowledge & agree that TrailerBlueBook.com will not be responsible or liable for any loss or damage of any sort incurred as the result of any such dealings or any value given from provided service that direcly affects a value provided for insurances purposes, comercial or person damges to your trailer. Trailer Bluebook provides its products and services subject to these Terms of Service ("Terms"). By using trailerbluebookvalue.com, you agree to the following Terms. These Terms may be updated by us from time to time, and we encourage you to revisit this page often and review the Terms. In addition to these Terms, when using particular trailer bluebook value owned or operated services, you may also be subject to any additional posted guidelines applicable to such services. Trailer bluebok is a Program available to all and but not all traiers are eligible for a Value. Trailer bluebook value may not be used to sell or to trade in certain categories of trailers at trailerbluebookvalue.com's discretion, including, without limitation: tanker trailers; trailers subject to recall or investigation by a government agency; trailerss with a police, fire, legal history; reconstructed or salvage trailers; trailers without a valid Vehicle Identification Number (VIN); trailers not originally built for the United States market or that were imported illegally or outside of official manufacturer channels (i.e., "gray market" trailers) trailers older than 25 years; trailers with altered frames or bodies or illegal or non - functioning emissions equipment; trailers registered at an auto auction or offered for sale on a wholesale website within 45 days. Trailer Blue Book reserves the right at any time and from time to time to modify, update, suspend or discontinue all or part of the Service for any reason with or without notice to you. All terminations will be made in Trailer BlueBook's sole discretion and you agree thatTrailer BlueBook will not be liable for any termination of your use of or access to the Service.